Photo by Maryalice Yakutchik, Jhpiego. 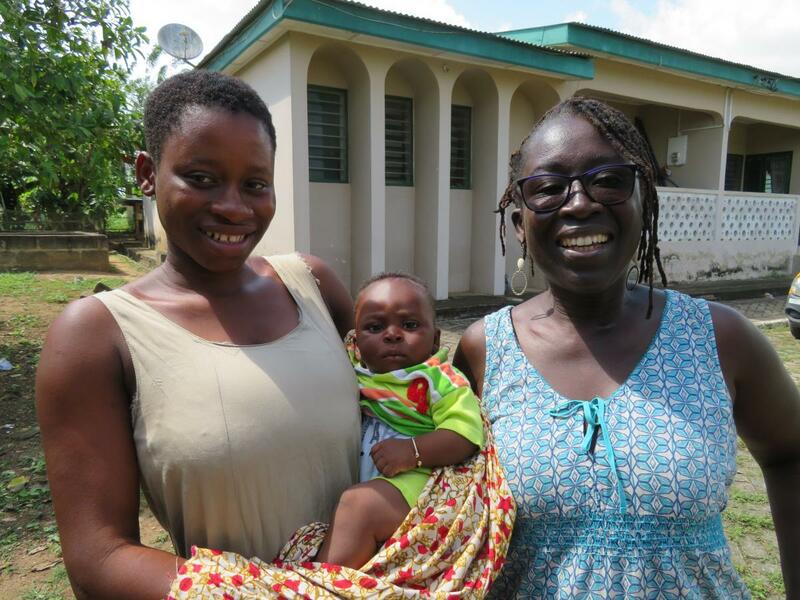 Abura Asebu Kwanmankese District, Ghana — Dorothy Nyarko gave birth at a local health facility on a Saturday and, under the watchful care of a vigilant midwife, returned home in time to take a high school entrance exam that Monday--which she passed. 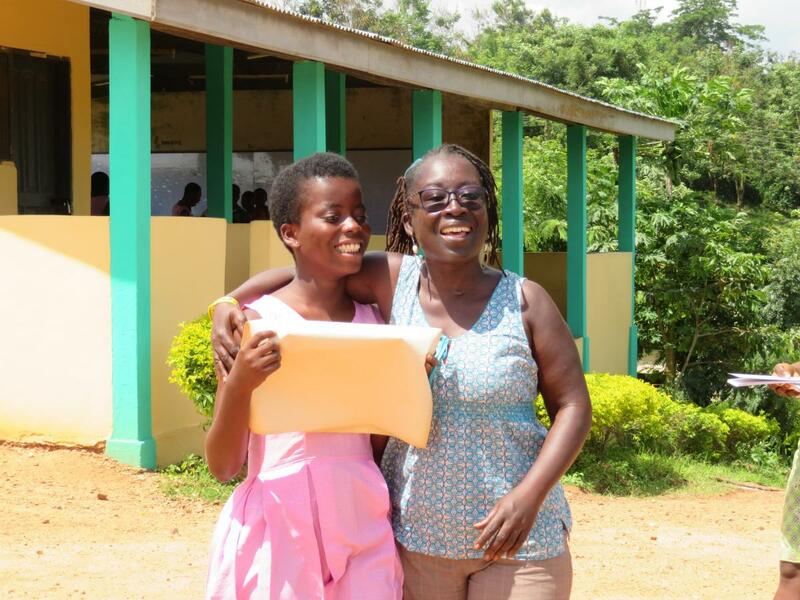 A mother at 17, Rejoice Agbedanu believed she could best secure her daughter’s future by finishing high school at the boarding school where her aunt teaches. She enrolled, and now spends weekends visiting her baby at her sister’s, and plans to be a TV journalist. With support from other adolescent mothers, Sandra Ewusi Essel learned to ignore the gossip about “a girl like her” and look to the future. 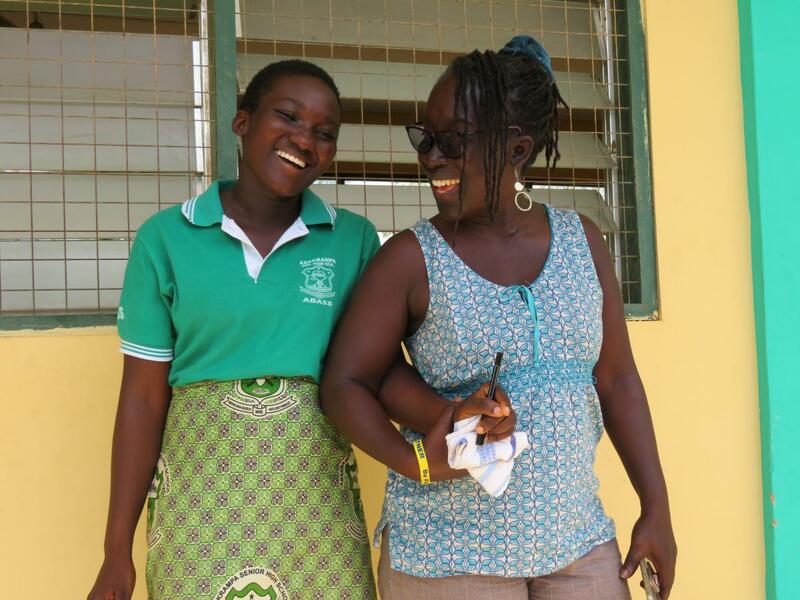 She adopted a family planning method and became a peer advocate for other girls. Rejoice discusses her future with Julia Duodu who supports the young mother as she looks forward and up: “My dream is to become a journalist. I want to be TV presenter doing news and other reporting on stories about women and their rights.” Photos by Maryalice Yakutchik, Jhpiego. 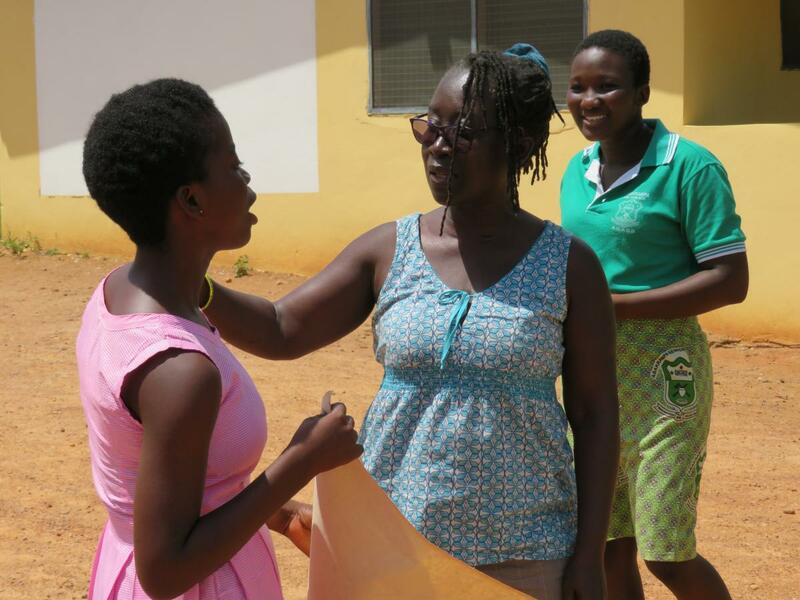 These young mothers in Ghana took charge of their young lives while participating in a first-time parents initiative that they helped to design and develop. It has been an inspiring journey for 85 adolescents in the country’s Central Region. It began with the news of their pregnancy. A number of them, shunned by their parents and rejected by teachers, had been put out of their homes and schools. At least one was contemplating suicide. Then they met Julia Duodu, a 52-year-old nurse who was organizing the Jhpiego-funded Adolescent Sexual and Reproductive Health (ASRH) project in partnership with the Ministry of Health in Ghana. Julia checks in on 16-year-old Gifty Boadu, mother of a 6-month-old. 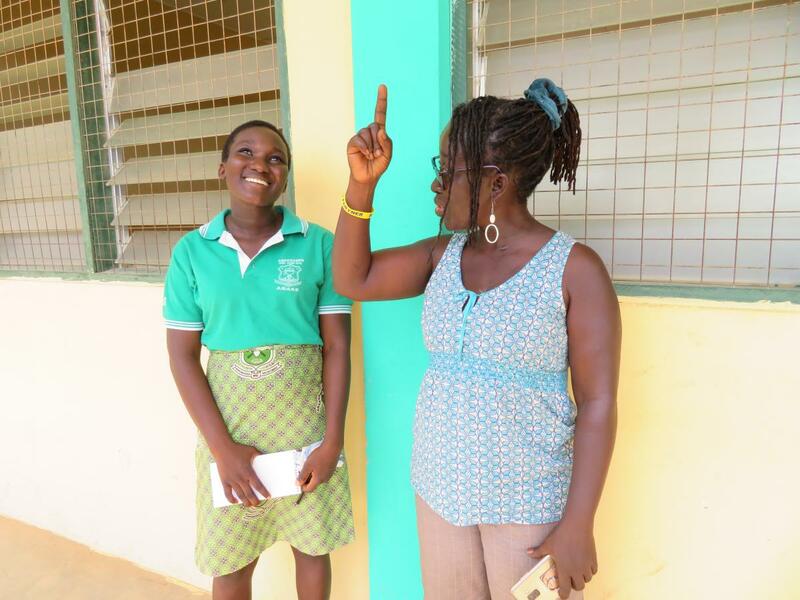 Gifty is concentrating on science classes at Abakrampa Senior High and planning to be a nurse. Photo by Maryalice Yakutchik, Jhpiego. Julia and a team of specially-trained midwives and community health nurses invited the girls, along with any willing partners, parents, and guardians, to help design a program that placed them at the center of a range of support services. The goal: develop life plans, learn how to nurture their plans and carry them out, build self-reliance, and avoid subsequent unplanned pregnancies. Through the project’s human-centered design approach, the adolescents learned to drive the conversation and take control of their own destiny. They identified stigma as a barrier to moving forward, and as detrimental as poverty and another pregnancy. During twice-a-month mothers’ support group meetings and occasional week-long workshops, they wrestled with shame and worked on overcoming their vulnerability and building confidence and resilience. And, they discussed the steps they needed to take to achieve financial independence. Julia visits Gifty and Rejoice at Abakramapa Senior High School. Photo by Maryalice Yakutchik, Jhpiego. “We taught them how to live with the stigma — and then move on,” Julia says. Women who had been moms as teens and today were college graduates or professionals were guest speakers, offering the girls an idea of what they too could aspire to be. Stigma, they learned, whether it involved pregnancy or family planning, was no match for self-esteem and facts. Poverty, they realized, could be beaten, and financial independence gained if, for example, they returned to school and learned to make and market jewelry and soap in the meantime. Alongside the development of marketable skills, they also learned that long-acting reversible contraceptives could offer them complete assurance of no more babies until they were ready to grow their families. The teen moms wasted no time in crafting plans and acting on them. Nurse Julia Doudu visits Sandra and her baby Richard. Photo by Maryalice Yakutchik, Jhpiego. In addition to taking care of her baby and studying, Dorothy also began making soap to support herself; a skill, she learned during one of two week-long skills workshops sponsored by the ASRH program. Sandra Ewusi Essel, 17, a gifted student and athlete, was in her junior year of high school when she found out she was pregnant. “I had low self-esteem because my parents said they wasted their money on my schooling. My mother sacked me from the house,” she recalls. Sandra proudly holds her baby Richard. Photo by Maryalice Yakutchik, Jhpiego. 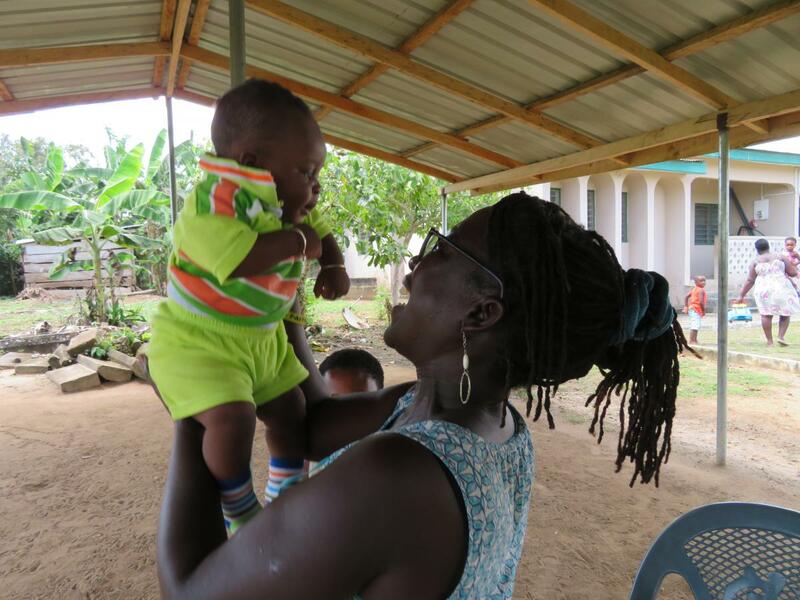 With baby Richard strapped to her back, Sandra now helps run the local mother’s support group which has 32 members, including five whom Sandra recruited. She tells the group that right after Richard was born, she opted for a contraceptive implant that will last 5 years. Sandra speaks with the confidence of experience when she advises them not to believe all the myths swirling around family planning in her community, where even the traditional healers warn that it can destroy fertility. It’s not surprising that all the members in her mother’s support group have adopted a family planning method. As has Sandra’s older sister, Jimaimah. With a passion for restoring pride and confidence in young women by enabling them to tackle careers alongside motherhood, Nurse Julia is one of countless health workers who venture beyond traditional roles to support vulnerable individuals and groups when, where and how they need it the most.